HD Voice is a feature on the Google Pixel phone that allows users to make phone calls with better overall audio quality. HD Voice uses the VoLTE (Voice over LTE) technology to bring in high-quality calls. This article will teach you how to enable HD Voice in Google Pixel. If you want to make high-quality calls that sound more natural, then you may want to check on Google Pixel’s HD Voice feature. The HD Voice feature allows you to make better-sounding calls to users who are phones that support VoLTE. Though most of the mobile network service providers offer HD Voice as part of the call or voice plan, we suggest that you call your network’s customer support for confirmation. We do not want you to take any unwanted charges. If you want to learn how to turn on HD Voice in Google 3, then read on. · See to it that you are using a Google Pixel 3 that are updated to the latest operating system. · The receiving end must also have a phone that supports HD Voice or VoLTE (Voice over LTE). · Both sender and receiver must have HD Voice, or VoLTE enabled on their devices. · Both sender and receiver must be connected to an LTE connection. 1. 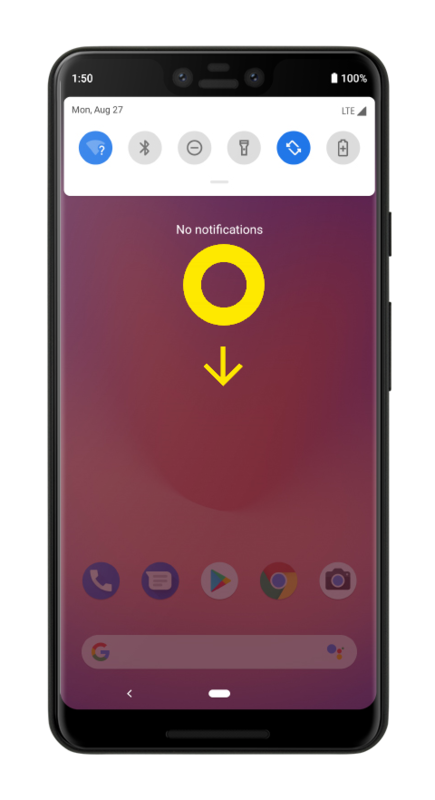 Pull down Google Pixel’s notification panel by doing a swiping action from the top-most part of your screen to the lower part of it. 2. The Quick Settings panel appears. Pull down the Quick Settings panel to show more options and icons. 3. Tap on the Settings icon located on the lower-right part of the Settings panel. 4. From Settings, tap on Network & Internet. 5. From Network & Internet, tap on Mobile Network. 6. Once you are in the Mobile Network page, tap on the Advanced options. 7. Tap on the Switch button for Advanced Calling to enable the feature. Tap again on the switch to turn off HD Voice in Google Pixel 3. You are done. Q: I tried to initiate an HD Voice call, but there is no change in the call quality. A: For HD Voice to be successful, both devices must support the VoLTE technology, must have VoLTE, HD Voice, or other similar features turned ON, and that both must be connected to an LTE connection. Q: Is the HD Voice available to other Google Pixel phone? A: HD Voice is available for Google Pixel 2 and newer phones. Make sure your Pixel phone is running the latest operating system. Q: Will I be charged on top of my voice calls whenever I use HD Voice? A: Most of the network service provider considers HD Voice as part of the regular voice plans. To be sure that you do not get unwanted charges, confirm this information with your carrier’s customer support. Q: I am using an iPhone, do I have the HD Voice feature? A: The iPhone supports VoLTE (Voice Over LTE). You can check out our article on how to make VoLTE calls on the iPhone. HD Voice brings the calling technology on a whole new level. We expect that sooner, more and more phone will support such feature. What do you think of HD Voice? If you have questions about any of the information in this article, let us know through the comments section.